On this beautiful feast of the Epiphany, I am intrigued by the journey of the Wise Men. It was an ancient belief and common understanding that a new star appeared at the time of a ruler’s birth. When the Wise Men saw this new star they set off on their laborious journey to find the newborn King. I admire their perseverance and determination! When they were unsure where to continue on their journey, they sought help to find out where the Messiah was to be born. They continued and saw the star once again as it led them directly to the Christ Child. Upon finding Him, they immediately fell to their knees, did Him homage, and offered Him the finest gifts they had. Later, when it was revealed to them that they should not return to Herod, they were obedient and took another route home. These Wise Men were on a mission, literally. They had one goal in sight—to find the newborn King. Nothing stopped them. Setbacks were dealt with and the mission moved forward. They acted with perseverance, humility, generosity, and obedience. I can’t help but wonder if I have that same kind of determination to seek out my Savior each and every day. It was easier for me during Advent and the Christmas season, but when I am back to “normal life” will I still seek out Our Lord as fervently? Knowing that He is waiting to spend time with me in prayer, will I do everything in my power to make sure we have our quiet time together? Knowing that Jesus is waiting in the Eucharist for me, do I arrange my schedule to attend Mass on a day other than Sunday or stop by the Adoration chapel to make a spiritual communion? Knowing that He is present in the people I see every day, will I treat them with charity and live out my vocation with sacrificial love? I pray that each of us never tires of traveling on this journey. 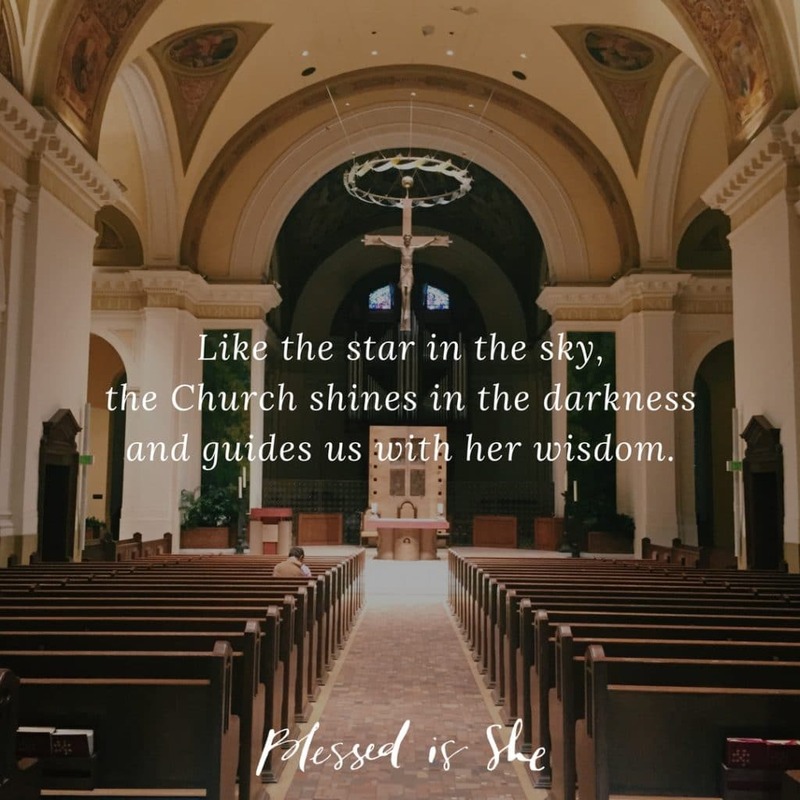 Like the star in the sky, the Church shines in the darkness and guides us with her wisdom and the Sacraments. Each day, we have the opportunity to kneel down before our King and offer Him the greatest gifts we have—our hearts, our love, our lives. Take a few moments to imagine yourself kneeling with the wise men before the Christ Child. What gift of yourself can you give to Jesus today?